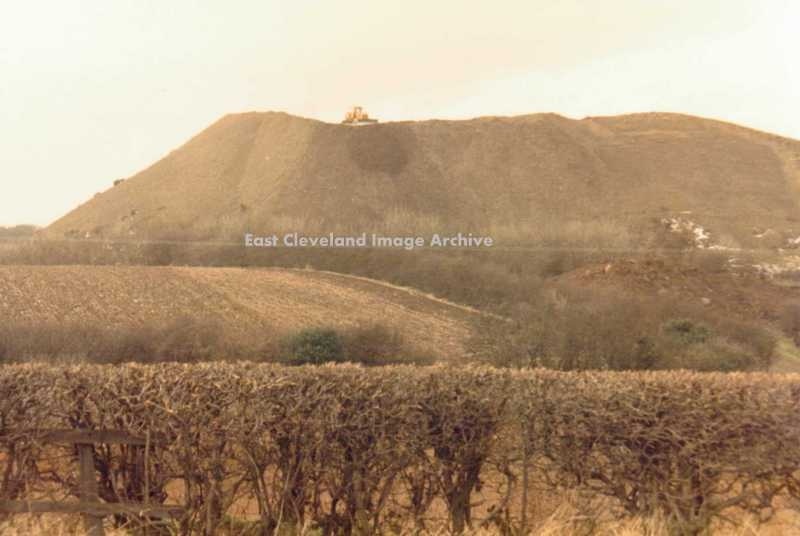 A bulldozer on top, levels Liverton Mine shale heap. Can our knowledgeable viewers will tell us the year this happened?. 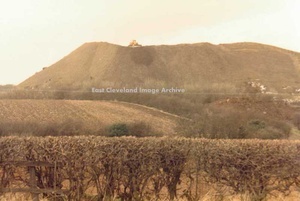 Karl Dale advises: ”I think it was flattened in 1984/1985, my dad is the one on the bulldozer”. Image courtesy Eric Johnson and thanks to Karl Dale for the update.. I think it was flattened in 1984/1985, my dad is the one in the bulldozer.